Hope you have had a great week so far ..It is almost the weekend! A few days ago I finished stitching Where Hearts Rest by With Thy Needle and Thread. I didn't have an idea how I would like to finish it, and I searched my basement for a frame but I had nothing. 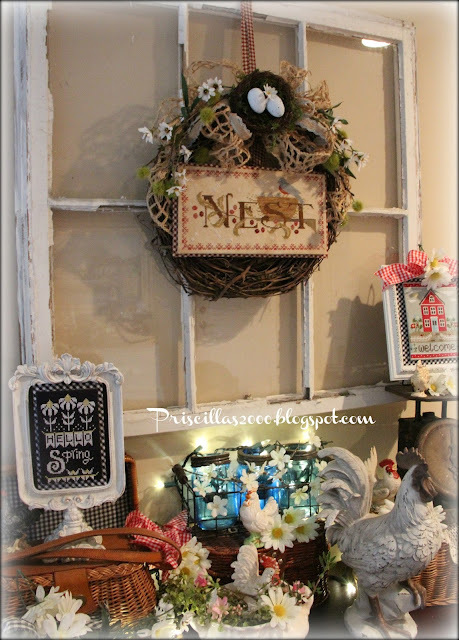 Today I had the idea to put it in a wreath on the vintage window in my family room so that's what i did! I had a small cotton branch wreath there but it just wasn't big enough .. I mounted the stitching on sticky needlework board and the same for the dark red homespun check. Glued those two together. Then I made a bow out of some twine wired ribbon that I had taken off a Fall decomesh wreath that I was throwing away. 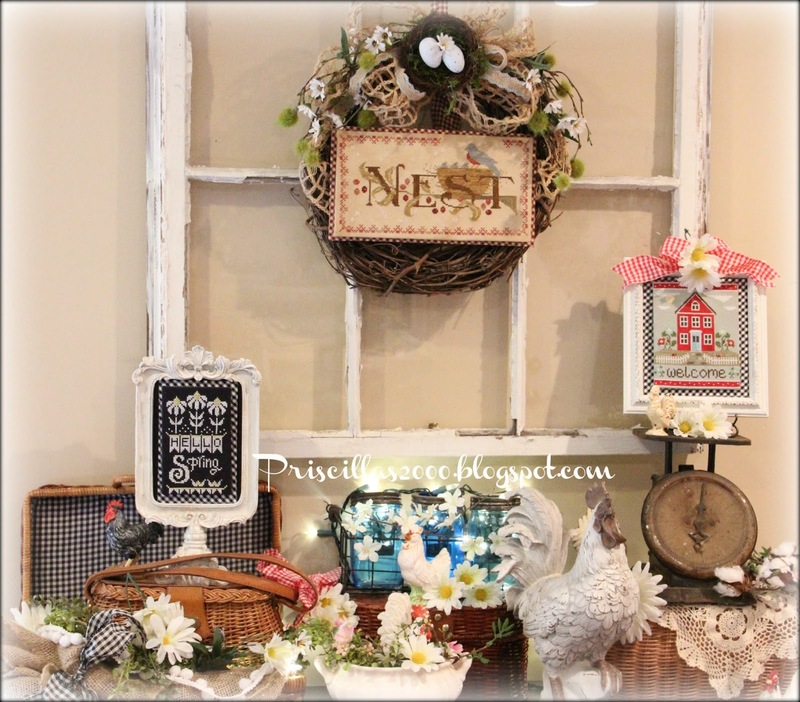 I added some of the burlap ribbon with the aqua center ..then took a nest from my Spring decorations and glued it to the top of the bows. I will be back tomorrow with another finish! 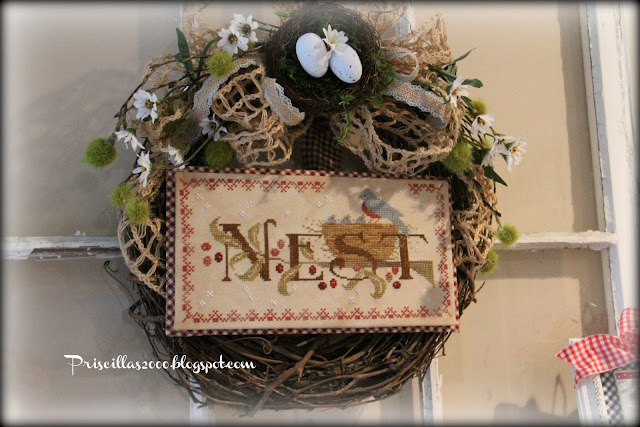 It's fun to find bits and pieces of what you already have to finish up the wreath, a cute stichery too:). 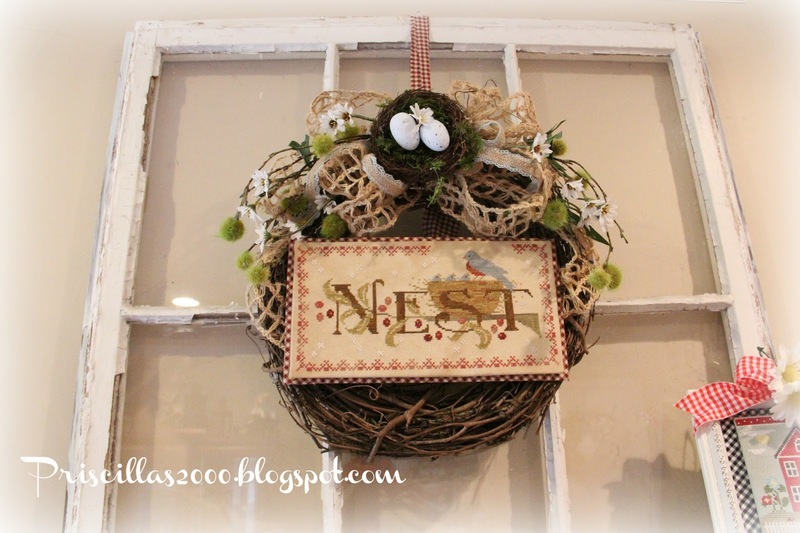 I love your finishes and this nest presented in the grapevine wreath is perfect! I know you mention in several posts about framing your counted cross stitch and then using magnets. 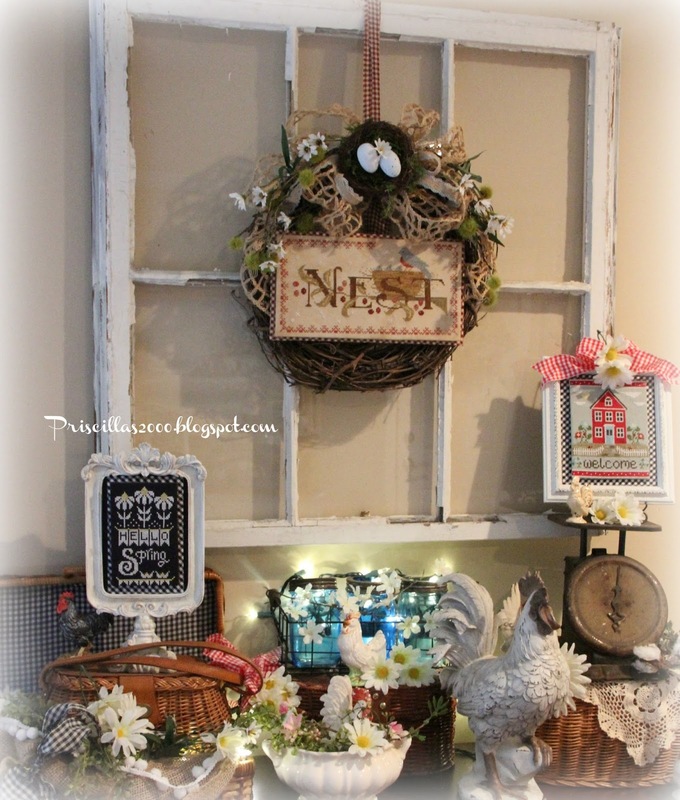 I'm having trouble framing a spring finish myself and wondered do you have or would you make a photo heavy tutorial? Valuable information in your blog and I really appreciate your work and keep it up dude I really very informative blog about the single pane well done.